Intrepid Control Systems » RAD-Gigalog RAD-Gigalog | Intrepid Control Systems, Inc.
Today’s autonomous vehicles are capable of generating gigabytes of data per second. To test and verify these vehicles it essential to be able to record large amounts of data at high speed. For these applications, Intrepid Control Systems introduces the RAD-Gigalog, which allows you to record multi-gigabit data streams with up to 6 terabytes of history. This means video or radar streams can be recorded for hours, while traditional high-bandwidth CAN networks could be captured and preserved for years! USB 3.1 Gen1 (5 Gb/s) provides high-speed offload, while a USB 2 high-speed host port allows the connection of Intrepid accessories, such as the RAD-Moon (100BASE-T1) or RAD-SuperMoon (1000BASE-T1) media converters or neoVI MIC2 GPS/Trigger. FPD-Link III and GMSL input and output provide direct connections to cameras and radar sensors. The device can be powered from either the barrel jack or the HD-26 vehicle connector. 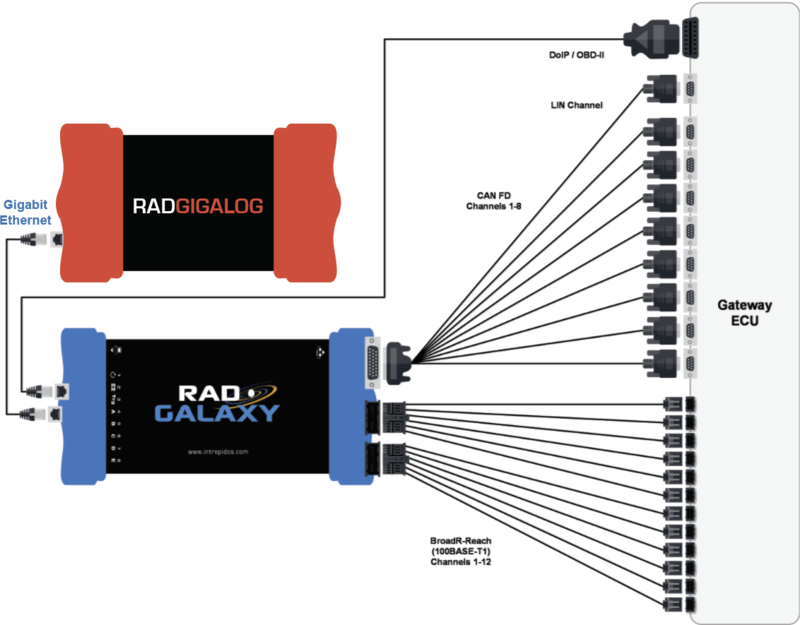 The HD-26 connector carries the RAD-Gigalog’s 8 ISO CAN FD channels and 2 FlexRay receive channels, while two RJ-45 jacks are provided for 10G and 10/100/1000 Ethernet. 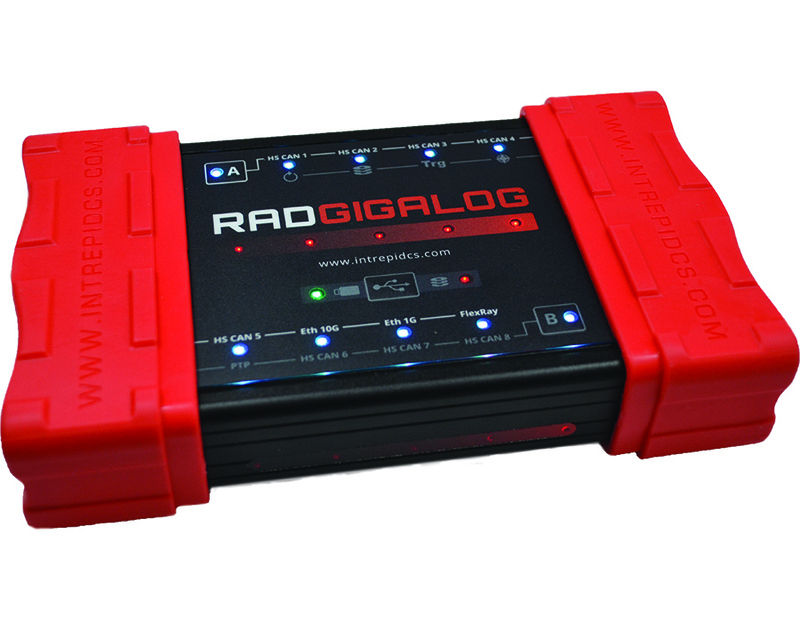 LED bargraphs on both sides of the case let you easily see how much storage space is left in the RAD-Gigalog.